Silver Law Group is investigating claims against brokers and financial advisors who committed misconduct in Boca Raton, Florida and the surrounding area. Boca Raton is located in Palm Beach County, Florida on the east coast of the state. The city is located less than 50 miles away from Miami and less than 20 miles away from Silver Law Group offices. As of July 2015, Boca Raton’s estimated population is just over 93,000. Boca Raton is home to the main campus of Florida Atlantic University, also known as FAU. Additionally, major supplier of office products and services Office Depot has its global headquarters in Boca Raton. Silver Law Group is investigating claims against brokers and financial advisors who committed securities misconduct in Orlando, Florida and the surrounding area. Orlando is located in Orange County, Florida and has a population of just under 2.5 million as of July 2015, the third-largest metropolitan area in Florida. Orlando is also known as the “Theme Park Capital of the World,” featuring numerous high-profile theme parks such as Disney’s Magic Kingdom, Disney’s Epcot, Universal Studios, and Seaworld. In fact, the theme parks attracted over 66 million visitors to Orland in 2015 alone. Silver Law Group is investigating claims against brokers and financial advisors who committed securities misconduct in Tampa, Florida and the surrounding area. Tampa is located in Hillsborough County, Florida. It is located on the west coast of Florida on the Tampa Bay near the Gulf of Mexico. As of July 2015, Tampa’s population is estimated to be 369,075. Tampa is part of the Tampa Bay Metropolitan area, which consists of St. Petersburg and Clearwater. Tampa features numerous attractions such as the Tampa Bay Lightning, the Tampa Bay Buccaneers, the theme park Busch Gardens, the Florida Aquarium, and crystal blue gulf beaches. Silver Law Group is investigating claims against brokers and financial advisors who committed securities misconduct in The Villages, Florida and the surrounding area. The Villages is located in Sumter County, Florida. According to FOX Business, The Villages is the fastest-growing city in America. The city, one of the fastest-growing retirement communities, also shares the same name as The Villages retirement community. It’s a Manhattan-sized city “with more golf carts than New York has taxis,” according to a Bloomberg report. 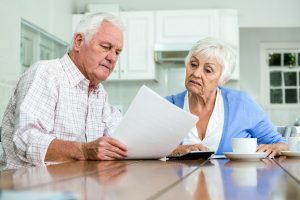 While the elder population and retirement communities have grown relatively crime-free, the senior population is not impervious to other financial threats. 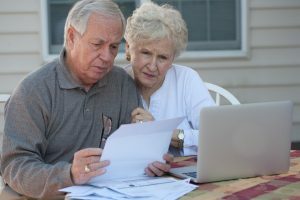 For aging seniors and retirees, elder financial fraud remains a potential problem. Mitchell Alan Kurtz (CRD #2437746) is a former registered broker and investment advisor whose last employer was Henley & Company LLC (CRD #131453) of Roslyn Heights, NY. His previous employers are Raymond James Financial Services, Inc. (CRD #6694), also of Roslyn Heights, and Advest, Inc. (CRD #10) of Hartford, CT. He has been in the industry since 1994. FINRA recently barred Kurtz “indefinitely,” effective 12/3/2018, after he declined to provide information requested in conjunction with an investigation. 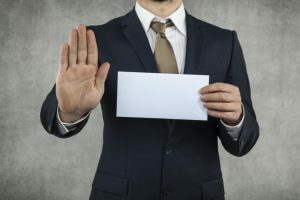 He is barred from any association with a FINRA member firm, and signed an Acceptance, Waiver & Consent (AWC) letter agreeing to the sanctions. The investigation came after Kurtz was discharged from his last employer, Henley & Company on 7/30/2018. Kurtz violated both FINRA and SEC policies with regards to “outside business activities, selling away, fiduciary duty obligations, violation of professional standards and the Firm’s Code of Ethics.” This discharge led to the FINRA investigation, in which he declined to participate. Robin Michelle Wahby (CRD #2107629, aka, Robin Michelle Griswold) is a registered broker and investment advisor currently employed with NYLIFE Securities LLC (CRD #5167) of Jacksonville Beach, FL. She has been with NYLIFE since beginning in the industry in 1990. Wahby has one disclosure in her record, filed on 6/12/018. A client who invested in Future Income Payments, LLC (“FIP”) on Wahby’s recommendation, filed this customer dispute. This investment was supposed to provide the client with a guaranteed fixed amount and protect the client’s investments. However, the client alleges, she has received no income and her funds were no longer available. The client requested damages of $39,460.00 and the case was settled for $40,000. 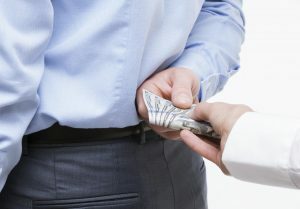 Future Income Payments and other high yield investments which claim not to be correlated to stock market returns have been the subject of many arbitration claims. Investors generally do not appreciate the reasons why an investment may not appear on a monthly statement and some stockbrokers may be “selling away” from their firm. Ian Greenblatt (CRD #2276966, aka “Eric Green”) is a registered broker currently employed with Capitol Securities Management, Inc. (CRD #14169) of Melville, NY. His previous employers include Capitol Securities & Associates, Inc. (CRD #7278), Westrock Advisors, Inc. (CRD #114338, expelled by FINRA on 1/18/2011), both of Melville, NY and Weatherly Securities Corporation (CRD #11081), of New York, NY. He has been in the industry since 1992. FINRA recently suspended Greenblatt for 30 days after he attempted to settle a customer complaint away from the firm in March 2016. 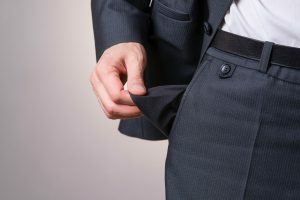 After two of his customers complained about the firm and the loss of $170,000 from their brokerage account, he failed to discuss this complaint with his firm. Greenblatt visited these customers and gave them $4,000 in cash and a check for $46,000 to their son, who is not a firm customer nor one of Greenblatt’s. During the meeting, they allegedly discussed re-investing their funds to try and recover the losses they suffered with the firm by depositing the money with CSMI’s clearing firm. Unfortunately, Greenblatt was not able to recover their losses, and the customers filed for arbitration against Greenblatt in August of 2017. Dexter Leroy Thomas (CRD #1074222) is a formerly registered broker and investment advisor who was last employed with United Planners’ Financial Services Of America A Limited Partner (CRD #20804) of Dallas, TX. His previous employers include LPL Financial LLC (CRD #6413), National Planning Corporation (CRD #29604) and Invest Financial Corporation (CRD #12984), all of Dallas. He began in the industry in 1983, and passed away on August 4, 2018. Two days before his death, United Planners discharged Thomas after he revealed to the firm that he had engaged in “selling away,” privately borrowing money and making investment arrangements with several individuals outside of the firm’s auspices. Many of these individuals later became customers of United Planners. Thomas revealed that he conducted these transactions without notifying the firm, and the firm promptly terminated his employment. Dennis Farrah (CRD #2703960) is a former registered broker and investment advisor whose last employer was Taylor Capital Management Inc. (CRD #43559) of Aurora, CO. His previous employers include Sicor Securities Inc (CRD #16195); expelled by FINRA on 01/31/2014), also of Aurora, Questar Capital Corporation (CRD #43100) of Centennial, CO and Lifemark Securities Corp. (CRD #16204) of Rochester, NY. No current employment information is available. He has been in the industry since 1996. Farrah submitted his resignation on 12/08/2017, and Taylor Capital notified FINRA by filing a U5 form, standard for registration terminations. Farrah voluntarily resigned after allegations. However, Taylor Capital amended the U5 on 1/23/2018, notifying FINRA that the state of Colorado was planning to file fraud charges for selling away without the firm’s knowledge or approval. His license was revoked by the state on 01/31/2018. On 07/12/2018, criminal charges of securities fraud were filed against Farrah. Previously, Farrah declined to respond to FINRA’s request for information in the matter, and signed a letter of Acceptance, Waiver & Consent (AWC). FINRA barred Farrah effective 6/18/2018. In it, he neither admitted nor denied the charges, and agreed to the sanctions, which included an indefinite bar in all capacities.